If you've been following our recent adventures, the Belizing Team have had an exciting two days of adventures with Belize Caving Expeditions. Unfortunately, all good things must come to an end; and, this was our last day of adventuring with them. Belize Caving Expeditions made sure that our final trip was a memorable one. We went to explore the waterfalls and flowing river of Big Rock Falls in the Mountain Pine Ridge Forest Reserve, travelled into the ancient Maya world inside the Barton Creek Cave on a canoe and drifted with the current at Jaguar Paw Outpost/Nohoch Che’en Cave while cave tubing. 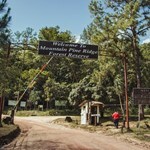 To start off our trip, we headed to one of the most spectacular geological areas in Belize – Mountain Pine Ridge Forest Reserve. Particularly, we ventured to Big Rock Falls. 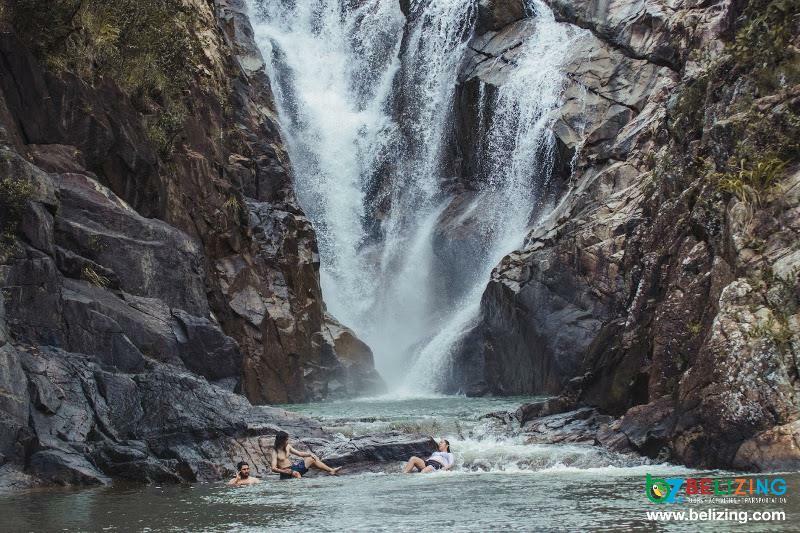 As interesting as the name is, this destination is a popular attraction for its massive waterfall and swimming pools. After driving for about an hour, we arrived at the location where we started our hike to the direction of the river. While this hike was tiring and uneventful, making it to Big Rock Falls was worth every step. Since the ground was a bit damp, some of the areas were slippery. 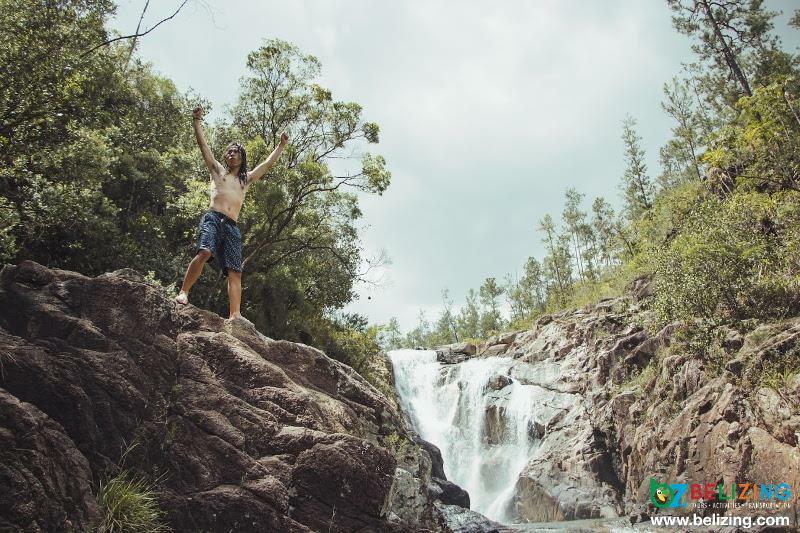 After making it through the trail at the bottom of the mountain, our eyes met with the large waterfall that flowed right into the pools of water. We did not hesitate to jump into the water. 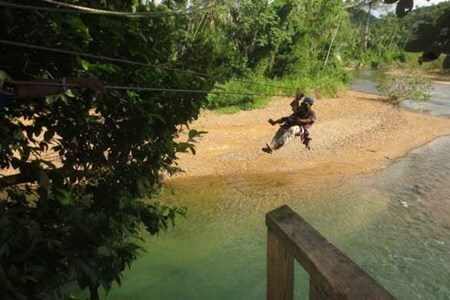 Every one of us turned into an adventurous daredevil jumping off the cliff and into the Macal River. The water was so refreshing and cool. We enjoyed ourselves swimming and climbing up the rocks and diving into the pools. Truly, we did not want to leave this place – it was paradise! But we had other activities planned for the day, so we dried ourselves off, changed and headed to our next location. It was a thirty-minute drive to get to our next adventure spot. We went to Barton Creek Cave! As soon as we got there, our guides equipped us with our gears and canoes. 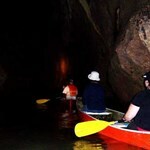 Soon enough, we were paddling through the river of the cave and inside the heart of the towering mountain. This cave was striking! I was surprised to see human remains and pottery inside the cave, high above from water. I became impressed by how the ancient Mayas travelled inside caves like this without proper equipment. Our guide shared with us some interesting theories and techniques that may have helped the Maya people to perform successful sacrifices deep inside the dark caves. The tour of the cave was quite intriguing, especially the history and composition of it. By the time we got out of the cave, it was lunch time. We had a delicious plate of rice and beans with stewed chicken along with a side of fried plantains and fresh garden salad. Just thinking of it makes my mouth water all over again! After lunch, we headed to our final destination for the day. 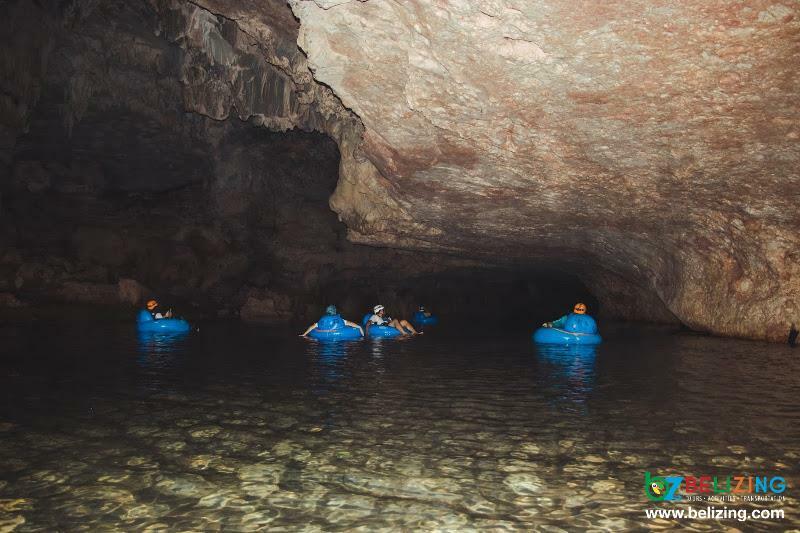 We set off to Jaguar Paw Outpost for a memorable cave tubing experience. Getting to the location took us a while. We had to hike for about twenty minutes and cross the river before reaching the entrance of the cave. Once we entered the cave, we were welcomed by the bright blue waters. I did not hesitate on jumping in with my tube! We spent an hour inside the cave, slowly drifting down with the current. Inside, we were entertained by each other’s humor. Our laughter echoed inside the cave. The guides that accompanied us were hilarious! We appreciated the opportunity to learn about the site as well as having fun with everyone. Once we got out of the cave, we had to quickly dry off before the sun completely faded away from the canopy. Soon enough, we found ourselves hiking back to the SUVs in complete darkness. Luckily, our guides brought extra flashlights other than the ones on our helmets. Before the adventure was over, we got to relax with some crispy corn chips and salsa and rum punch. We enjoyed each other’s company before heading back home. 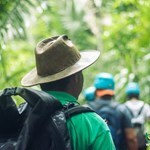 This experience with Belize Caving Expeditions was remarkable! The guides that went with us were extremely helpful, very knowledgeable about the locations and, not to mention, hilarious. Our three-day adventure with them was memorable and unique! The Belizing Team would like to extend a sincere thank you to Belize Caving Expeditions for such a wonderful experience! Where is Big Rock Falls and how to get there? 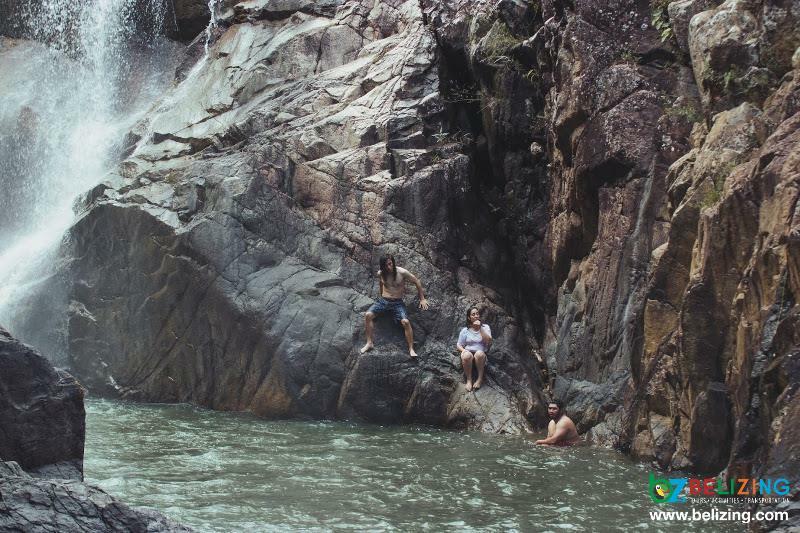 Big Rock Falls is nestled in the Mountain Pine Ridge Forest Reserve in the Cayo District. 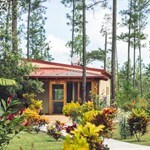 Getting there would require you to drive from either Santa Elena Town or Georgeville Village. Due to bumpy roads, the drive will more likely take you about two hours. Where is Barton Creek Cave and how to get there? 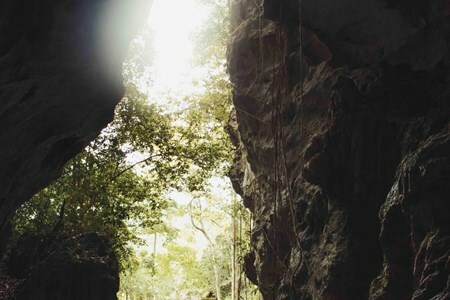 Barton Creek Cave is located in the Cayo District, a 45-minute drive from San Ignacio Town. To get to Barton Creek Cave, you’d have to drive to Georgeville Village and turn onto Chiquibul Road, the turn left onto Upper Barton Creek Road. What to bring/wear to a Big Rock Falls and Barton Creek Cave combo? When exploring Big Rock Falls and Baron Creek Cave, it is advised that you wear comfortable and light clothing and some water shoes. Things to pack to Big Rock Falls and Barton Creek Cave are swimwear, towel, big spray, sunscreen, camera, and a change of clothes. What is the cost a Big Rock Falls and Barton Creek Cave combo tour? The cost of a Big Rock Falls and Barton Creek Cave combo tour costs $95. 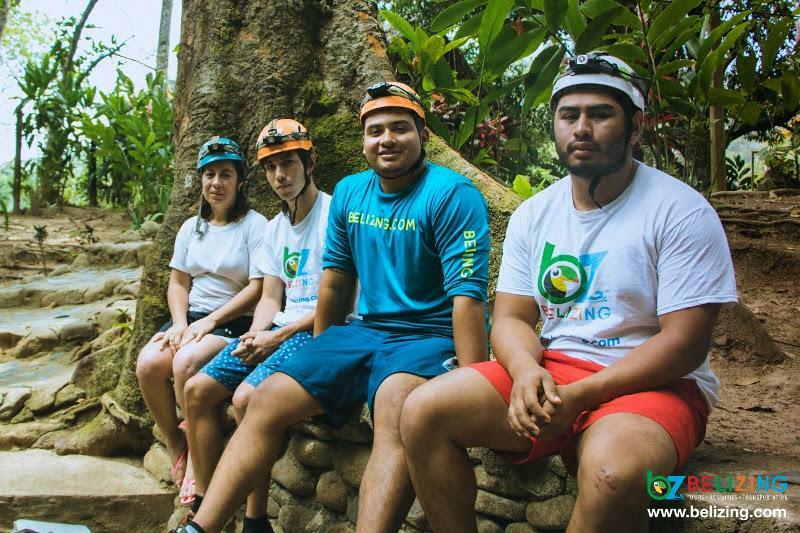 This price includes transportation, tour guide, entrance fee to cave, water, lunch, snacks and equipment. You can also book a tour to Barton Creek Cave only which costs $75 and includes transportation, tour guide, entrance fee to cave, water, and equipment. Where is Jaguar Paw Outpost/Nohoch Che’en Cave and how to get there? 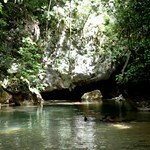 Jaguar Paw Outpost/Nohoch Che’en Cave is located in the outskirts of Belmopan City on the Hummingbird Highway. 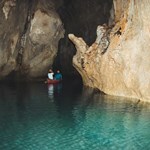 You can reach Nohoch Che’en Cave by private vehicle, rental, public bus and private shuttle. What to bring/wear to Jaguar Paw Outpost/Nohoch Che’en Cave? It is recommended that you wear comfortable and light clothing and a pair of water shoes. Things to take to Nohoch Che’en Cave would be a change of clothes, bug spray, towel, swimsuit and camera. 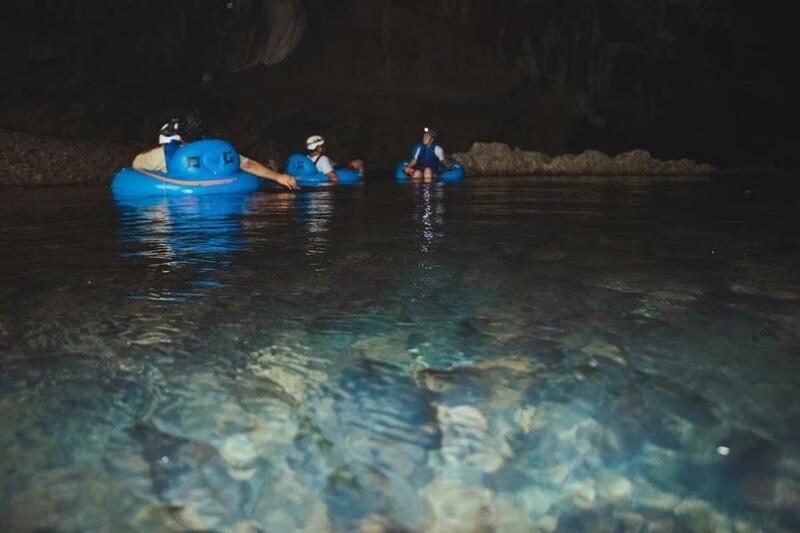 What is the cost of a cave tubing tour? To go cave tubing at Nohoch Che’en Cave, the cost is $85. 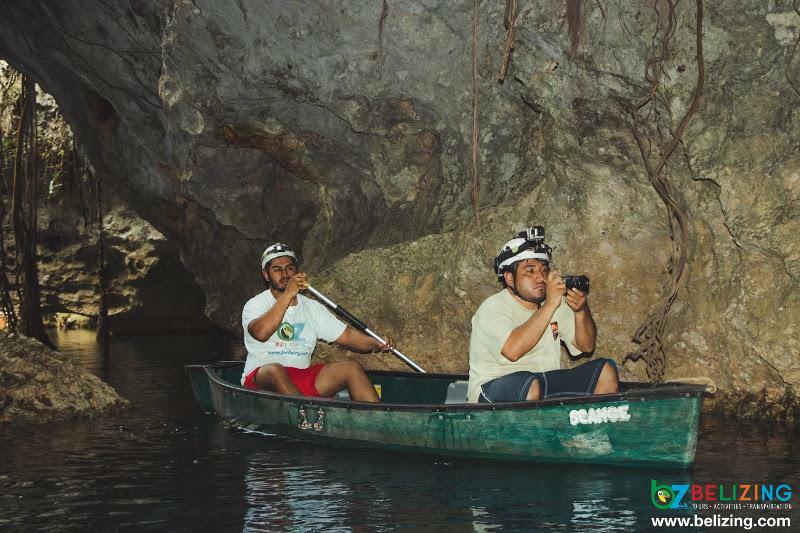 This includes transportation, tour guide, entrance fee to cave, water, lunch, snacks and equipment. When is the best time to visit Big Rock Falls, Barton Creek Cave, and Jaguar Paw Outpost/Nohoch Che’en Cave? 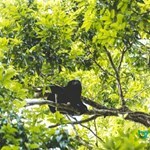 The best time to visit Big Rock Falls, Barton Creek Cave and Jaguar Paw Outpost/Nohoch Che’en Cave would be in the dry season (December to April) when there are less chances of rain. Of course, raining would cause the trail to be slippery and water to be murky. However, keep in mind that Belize is located in the tropics, so you can still get warm and sunny days during the designated wet season (May to November). This tour starts with us driving through the small Mennonite community of Upper Barton Creek where you will have a glimpse of their traditional daily life. 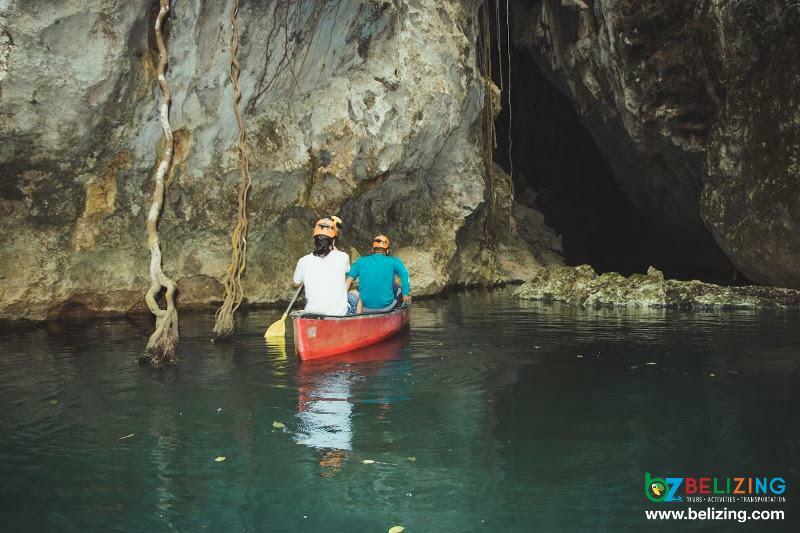 Once at the site we start ... moreoff by paddling through and exploring the mystical Barton Creek cave, an ancient site used by the Mayans for burial and ceremonial purposes. The jade-colored water runs for 4 miles inside the caves surrounded by stalactites and stalagmites. 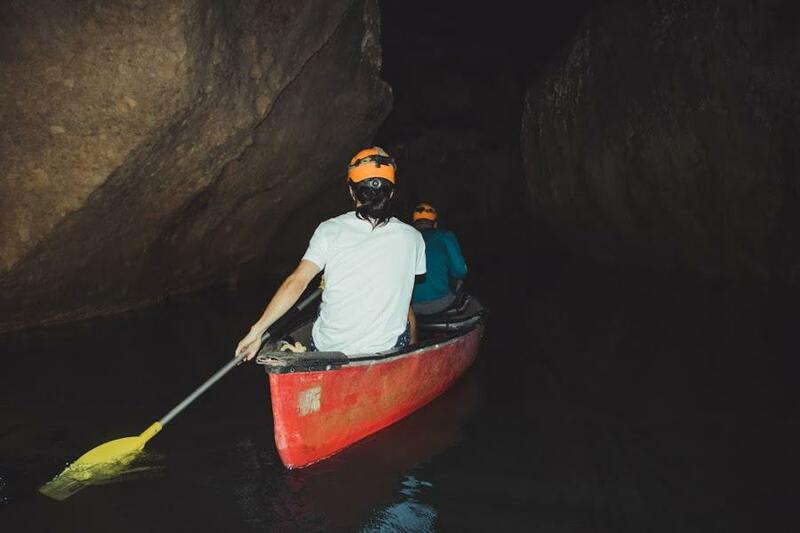 A tour of Barton Creek involves gently paddling a two-man canoe across the cave's still water, guided only by headlamps that light up the intricate stalactites and stalagmites that make up the limestone walls. 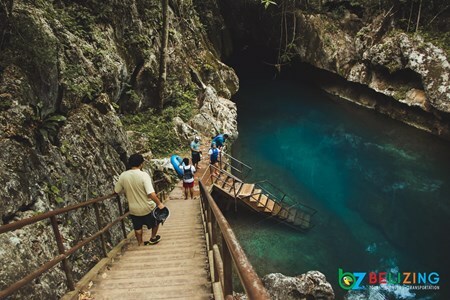 You will also discover rock flows and cathedral chambers while observing Mayan pottery shards and the bone remains of more than 28 humans dating back to 200 CE. This is an amazing experience everyone will remember. Fun and excitement for everyone guaranteed! 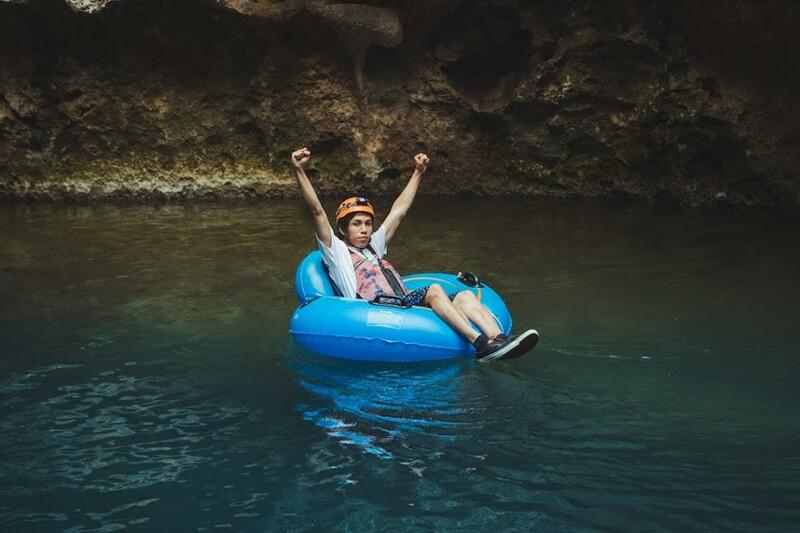 To enhance your cave tubing adventure, add the thrill of gliding through the Belizean rainforest canopy in this exciting and exhilarating ... moretour. Take in the views of the Belizean jungle as you cross over the lush rainforest and glistening river. 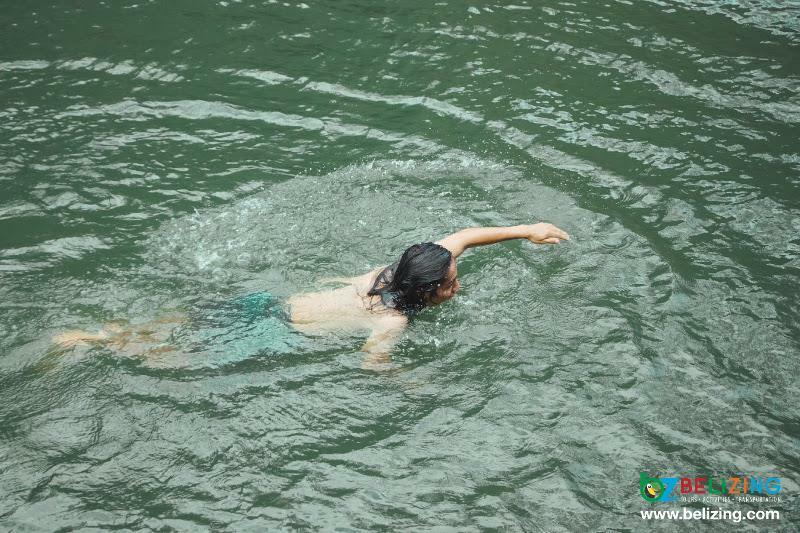 After the adrenalin rush cool off in the crystal clear refreshing waters of the Caves Branch River. This part of the tour is easy and relaxing. 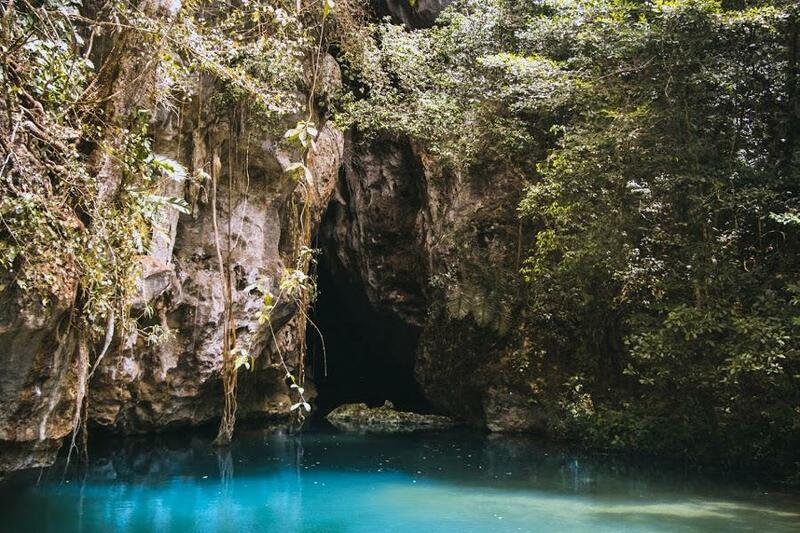 A short hike through the jungle leads you to a beautiful swimming pool located at the entrance of two caves. 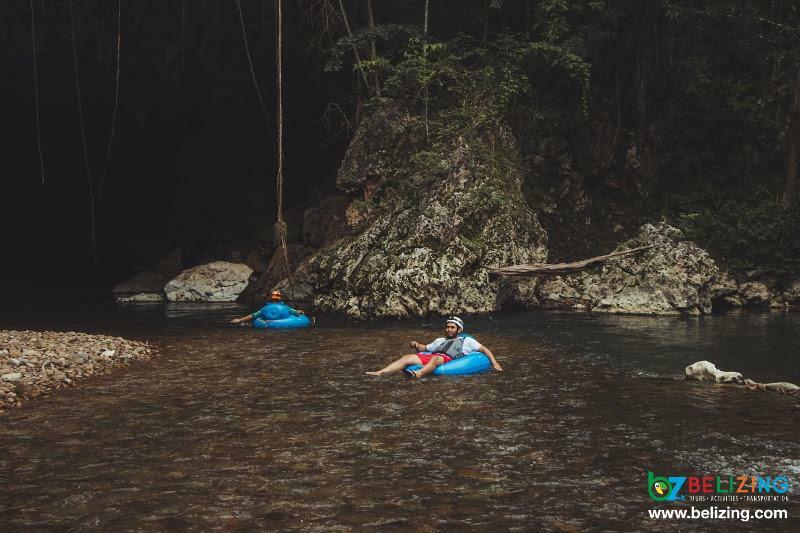 Here you can swim at leisure before starting the float down the river while viewing spectacular cave systems which the Mayas regarded as a sacred underworld where rituals and ceremonies took place to their many powerful gods who called this home. An exciting adventure everyone can enjoy! 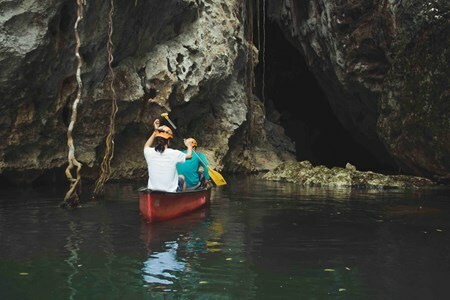 A great tour combination for the adventurous traveler would be the Barton Creek and Big Rock tour. After enjoying the mystical tour of the underworld in a canoe; we prepare for an ... morehour and a half drive on the Mountain Pine Ridge road to Big Rock Falls. 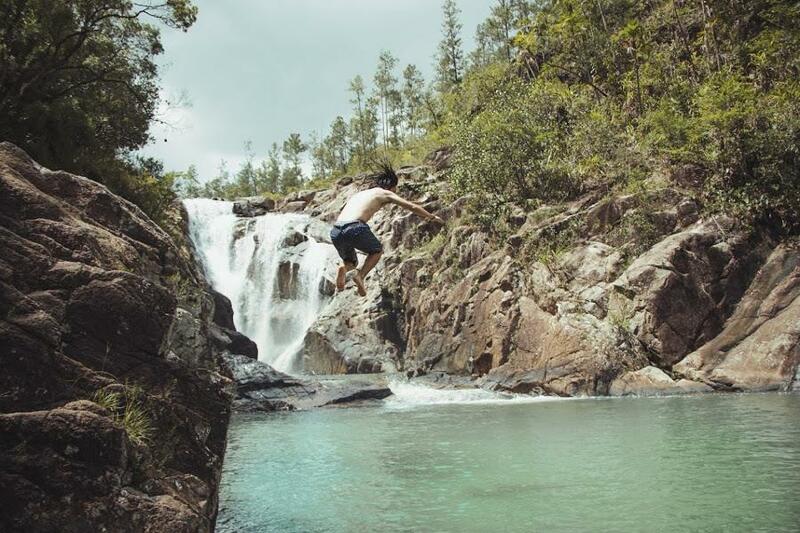 This impressive waterfall is the most beautiful in the area, it is 100 ft high boasting a deep emerald pool filled with spring water perfect for swimming, or for the more adventurous; cliff jumping. The tremendous view of water rushing over giant granite rock and plummeting into the perfectly round pool at its base provides a rush of excitement.outcroppings. The footpath to the falls is a 20 minute hike and involves some moderately challenging climbing down to the valley below.